Is it legal to pick up an injured or sick wild owl? Yes, provided the sole intention is to release it as soon as it is deemed capable of survival (Wildlife and Countryside Act, 1981). Passing it on so that a more experienced person can rehabilitate and release it is perfectly acceptable. Anyone who looks after a wild bird has a duty of care and must not cause it to suffer, or take any action, other than justifiable euthanasia, that causes it to become unreleasable (Animal Welfare Act 2006). 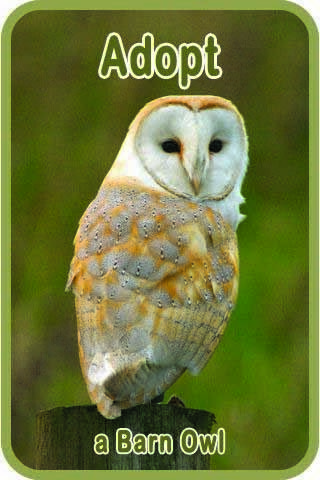 See more about Barn Owls and the Law. Should the owl be picked up at all? Whether it’s adult or young. 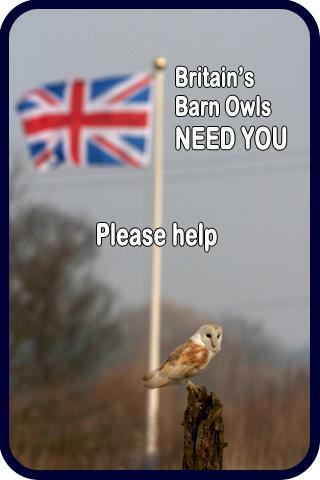 Whether it’s a Tawny Owl, Little Owl or Barn Owl. 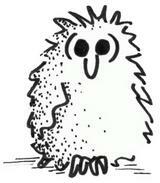 It is always advisable to check a young owl’s condition before returning it to the nest. Owls have little sense of smell and will not reject their young simply because they have been handled. It should be impossible to pick up a healthy adult owl! So, an easy-to-approach owl should always be picked up. As long as you are reasonably gentle, picking it up will not cause any further injury. A nestling/fledgling Tawny Owl on the ground probably does not need to be picked up. If you know that the owlet you have just found is definitely a Tawny Owl and you are reasonably confident that it is not injured, starving or too young to be out of the nest, you should find the highest large tree-branch that you can reach nearby and place the bird there rather than take it away. Tawny Owl adults will feed their young wherever they are, so there is usually no need to return such birds to the nest. If you have picked up a young Tawny Owl or someone has brought one to you all the information you need is on what to do if you find a young Tawny Owl. A nestling/fledgling Barn Owl on the ground must be picked up. 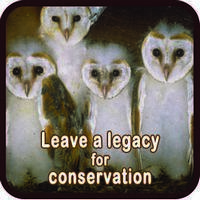 Young Barn Owls that have fallen from the nest are generally ignored by the adults and will die if they are not put back. If you are certain that it is healthy and not underweight please put it back in the nest. 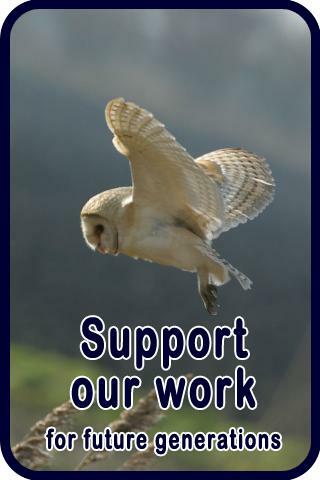 If you have picked up a young Barn Owl or someone has brought one to you all the information you need is on what to do if you find a young Barn Owl. Generally speaking, young Little Owls should be replaced in the nest if you are sure they are fit and well, and there are other owlets in the nest place. In reality, Little Owl nest entrance holes are often impossible to pinpoint. Consequently it’s very difficult to know whether replacing the owlet where you think the nest is is the right course of action. Placing it close to the nest is worth a try provided the owlet is mobile and reasonably fit. If not, it’s probably best to pass it to a rehabilitator. How should the owl be picked up? Watch the video to see how to correctly pick up an injured owl. Wear puncture resistant gloves (i.e. thin leather) if the owl is lively. If you don’t have gloves try gently throwing a towel or something similar over it and let it grip the towel while you try to get your hands around it from behind. Gently grasp the owl from behind so that your thumbs lie together on its back (up its spine), your fingers fully encircle its folded wings and its legs extend outwards between your fingers. If you need to hold the bird for some time and it appears very docile you may change your grip but always keep control of the feet – they can do more damage than the beak. How should the owl be contained? If you only have a wire mesh container, cover it (almost entirely) with towels in order to minimise the chance of feather damage. Keep it somewhere quiet and at room temperature or slightly warmer. If the bird can see out through anything larger than a small hole, drape something over the container. Be careful not to chill or overheat the owl and avoid keeping it anywhere it is more likely to dehydrate. An owl that has a major bone fracture (such as a broken wing) should not be kept in an over-sized container and should, if possible, be wrapped in something like a large towel or possibly placed in a loosely-woven hessian sack or similar. Remember that the owl must be able to breathe and must not become tangled. Close confinement such as this does increase the risk of hyperthermia (over-heating) but in most cases, lightly wrapping a badly-damaged owl (or placing it in a slightly under-sized container) will be beneficial unless the ambient temperature is high. Irrespective of its condition and the amount of wrapping, make sure that the container is closed securely – the owl may become mobile at any moment. What if the owl is tangled or trapped? Owls sometimes become tangled in soft netting. Disentanglement can be extremely difficult; if necessary the netting around it should be cut and the bird quickly passed to an experienced vet or rehabilitator for the netting to be removed. Chances of a full recovery are reasonable. Owls are sometimes found hanging on barbed wire. Usually one or more barbs have punctured the wing between bone and tendon and a prolonged struggle results in severe tangling, major soft-tissue damage, multiple puncture wounds and quite often a wing fracture as well. Cutting the wire does not usually help and untangling on-site, although difficult, is the usual procedure. Badly damaged victims should receive immediate veterinary attention but even so a full recovery is extremely unlikely. Owls often become trapped in chimneys and have to be extracted via a removable panel in the flue or removal of part of the stove or fire surround. 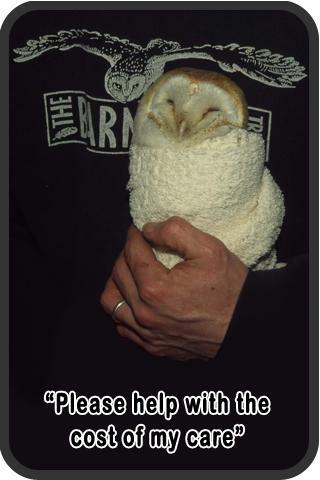 This happens far more often to Tawny Owls than Barn Owls and they usually make a full recovery. Barn Owls and Little Owls sometimes become trapped in water troughs. A rescued bird that has been struggling in water for a while will very likely be exhausted, hypoglycemic (low blood sugar) and hypothermic (low body heat). Such birds should first be warmed up, then given warm water with glucose, then dried off. While allowing the owl to dry-off, be careful to avoid chilling or dehydrating it. Exactly where the owl was found, ideally using a six-figure grid reference – this is crucially important. The finding circumstances, such as how long it might have been there, if there is a known nest nearby, if it is a road casualty or if there was some other danger nearby such as overhead wires. The finding date and contact details of the finder. Whether the bird is ringed or not. Information on various types of bird rings may be found on the Euring website. Always report a BTO-ringed bird yourself rather than assuming that someone else will do it. When passing the bird on to a vet or rehabilitator, always ensure that all this information goes with it. When choosing the best option for a bird’s release, knowledge of the finding circumstances is vitally important. If the owl is obviously injured or you are unable to assess it yourself, you should contact a bird-experienced vet or a bird rehabilitator that day or first thing the next morning. Although most vets do not charge for treating wildlife casualties, it is always advisable to ask.